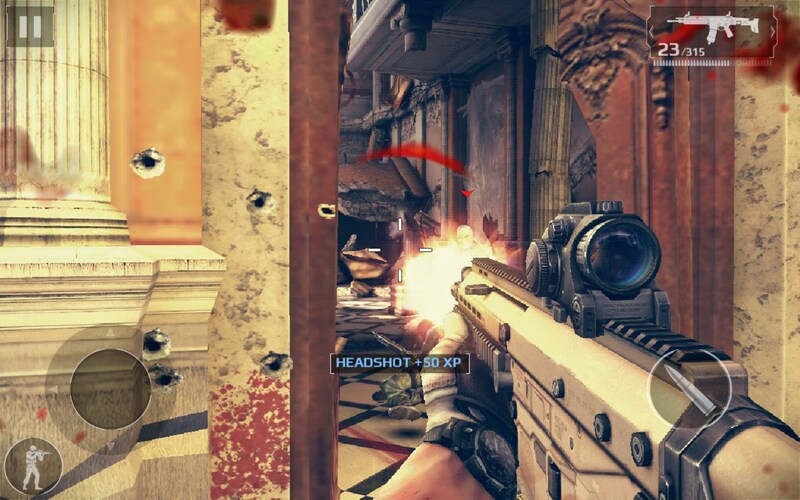 Modern Combat 5: Blackout – Games for Android 2018 – Free download. 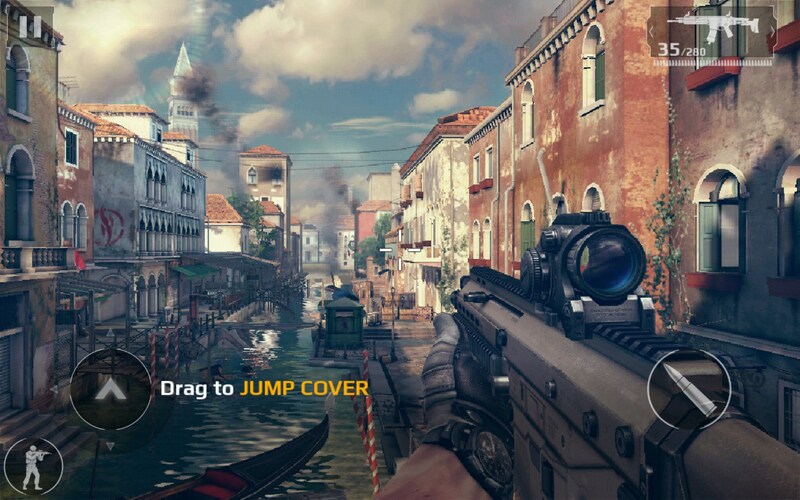 Modern Combat 5: Blackout – High quality combat with a fully developed plot. 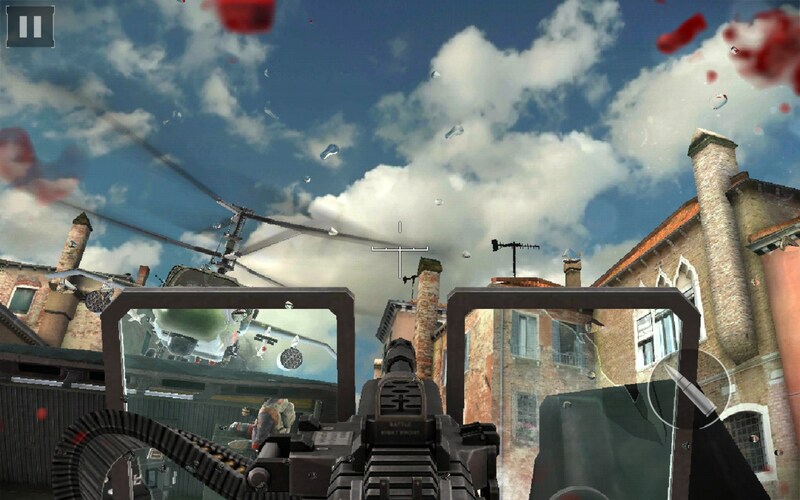 Modern Combat 5: Blackout for Android is the latest in this series of highly evolved combat games. 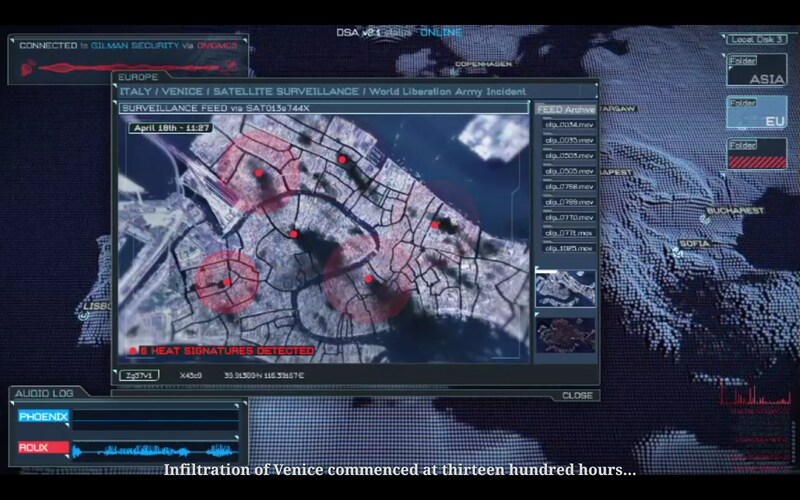 This one plays as if you’re in the midst of a movie or interactive story that unfolds as you play. 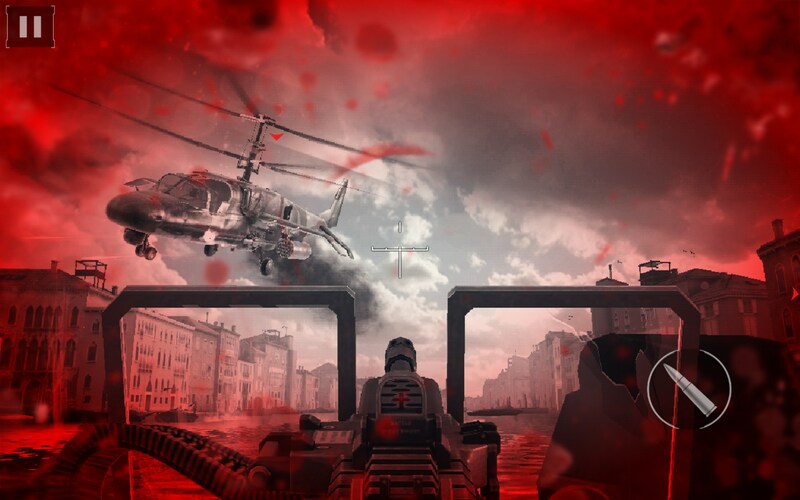 Modern Combat 5: Blackout is a high quality combat game, jam packed with action, sophisticated visuals and a completely developed story. 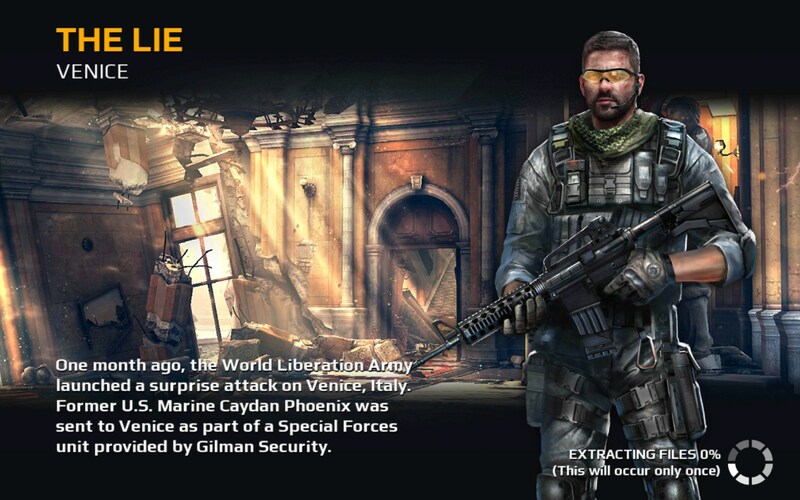 In this one, terrorist mercenaries are on the loose in Europe and your mission is to go behind enemy lines and complete missions, as given to you by HQ. 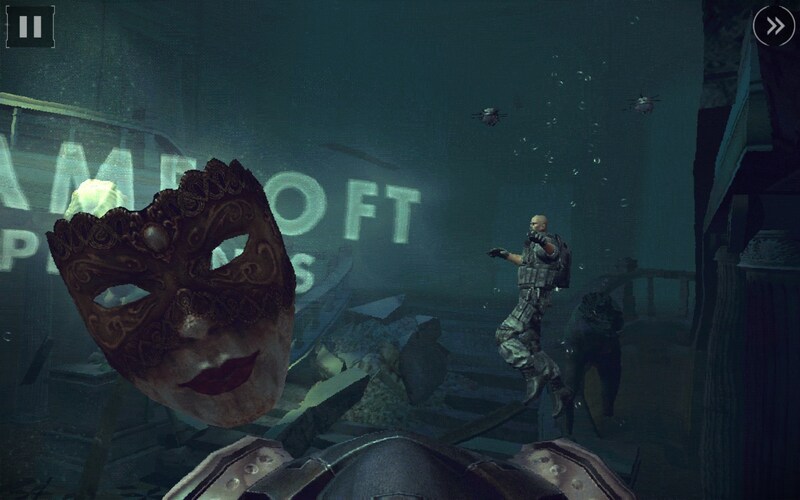 The action is pretty intense and it can be hard to keep track of what’s going on at times, but it’s all very well done and immersive. This is the kind of game you could lose yourself in for days and come out of it smelly and disheveled, wondering where the time went. The controls are excellent, but I did have a hard time moving and keeping the point of view focused on the action. 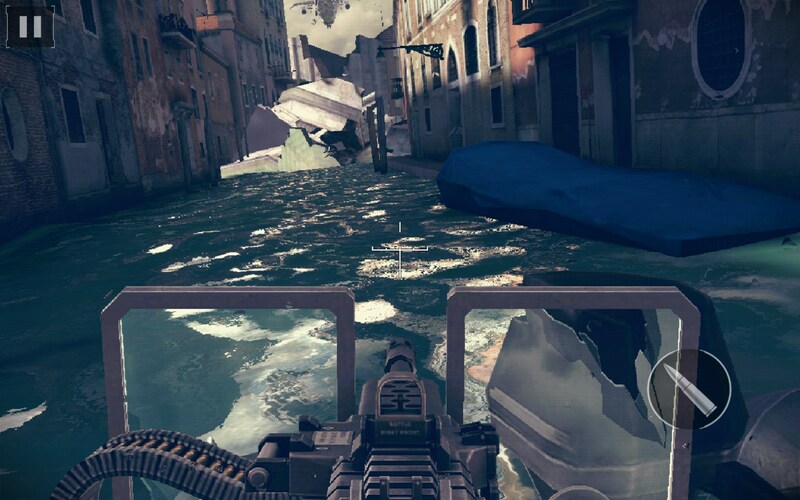 Many times, I’d be taking enemy fire and couldn't find where the shots were coming from, because my controls got me stuck in a corner staring at a close up of brick. But as you delve deeper into this game, I’m sure you start to get the hang of these little quirks. The animation is excellent and rendered smoothly. The only real hangs were during the tedious load screens between missions, but given the intensive graphics, I don’t see how the sluggish loads can be avoided. The sounds are intense and realistic. And the game is highly interactive and responds to unique choices made during play. 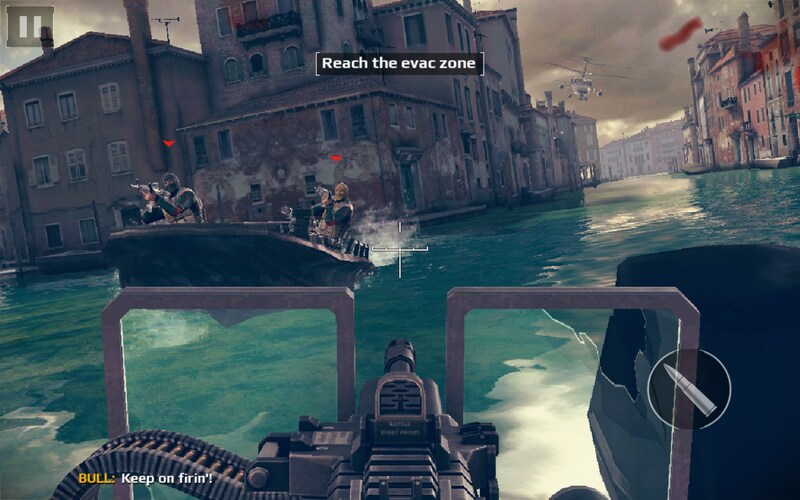 Modern Combat 5: Blackout is certainly worth the purchase if you love combat games. This one is exceptionally well done and I appreciate all the work that went into creating a viable story to go along with all the high quality graphics. I'm not sure off the top of my head, but you should be able to use our compatibility checker to see. why not compatible for xperia m2 ? Why in sony Xperia m2 not to download? Hey guyz playstore says mc5 is not compatible on my device(galaxy grand neo) but it used to work before the new update.i downloaded it from a site but now the new update says invalid certificate whenever I open it..
is there a way to play mc5 for me? Sadly, no. It is highly doubtful that the app will ever work on your device. It requires both a higher version of Android and a more capable device. I highly doubt it. The Nokia X and XL use a modified version of Android, which means you will need to search for app on its proprietary app store and to my knowledge MC5 is not available on it. It may be possible to root the device and force install Google Play but even then there is no guarantee that it will work.